TAMPA, FL (February 11, 2016) – Scott Bloomquist held off a late charge from Jonathan Davenport to win the Lucas Oil Late Model Dirt Series sanctioned event on Thursday Night at East Bay Raceway Park. Bloomquist took the lead on lap two from Tim Dohm and then he held off Davenport and Gregg Satterlee for his seventh career win at the East Bay Winternationals. Darrell Lanigan and Devin Moran rounded out the top five. “There was plenty of room out there to race. A guy could move around on the track a lot tonight. If we needed to go to the top to get around a lapped car, it was still fast. We didn’t want to overdrive. I didn’t know how much damage I could do to the tires. After that last restart, it didn’t take off like I wanted it too. They move the show along so quickly here, that it makes it’s tough to make any major adjustments on the car. There were two or three more things to change but we didn’t get the chance. Overall I am very happy with the car after tonight’s race,” said Bloomquist. “He [Davenport] didn’t give me a whole lot of room on the start in our heat, but we were able to get by him. He [Davenport] is still running well. I can’t take anything away from him for the way he is running. We are still working hard. 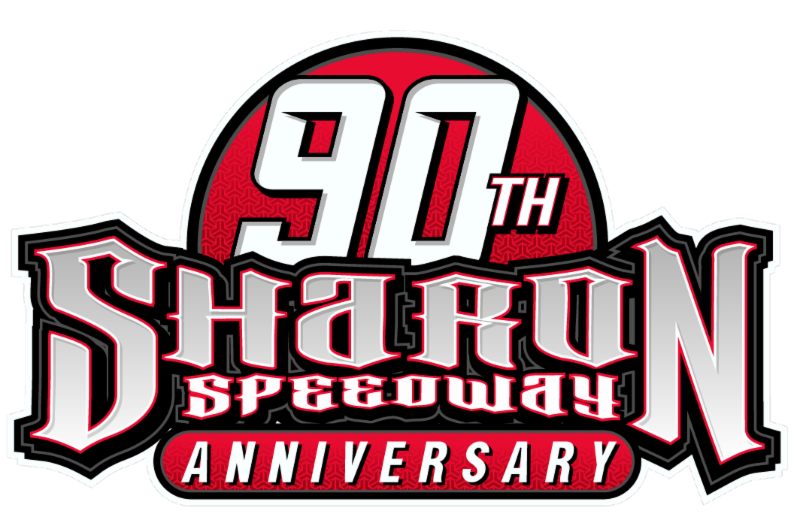 We are up for the challenge and excited for tonight, and ready for the rest of the week,” said the 52-year-old Hall-of-Famer driver who recorded his 557th career win. Bloomquist’s Sweet-Bloomquist car is powered by Andy Durham Racing Engines and sponsored by Crop Production Services, Reece Monument Company, Mark Martin Automotive, Dyna-Gro Seed Base Fuels, Penske Shocks, Lucas Oil Products, Petroff Towing, and Sorbrera Chiropractic. Davenport won his first career super late model feature at East Bay yesterday, and came up just short of making it back-to-back wins. Satterlee had his best finish of the Georgia-Florida Speed weeks, coming home in third place. The Pennsylvania driver ran as high as second. “It’s been tough. Our heads have been hanging in the pit area for the last couple of days. We are trying to stay positive with this new Rocket. We think we found how to balance the car out properly. It feels good to get a third place finish. We fell off there at the end. It was probably me trying to protect the bottom. I guess I just need to worry about going fast,” said the driver of the Satterlee Petroleum, Andy Durham Racing Engines, Rocket. Completing the top ten were Jared Landers, Earl Pearson Jr., Tim Dohm, Eddie Carrier Jr. and Ricky Weiss. In preliminary action, Jonathan Davenport set the overall Miller Welders Fast Time (Group A) amongst the 38 entrants, with a lap of 14.706 seconds. Tim Dohm set the fastest time in Group B with a time of 15.005 seconds. 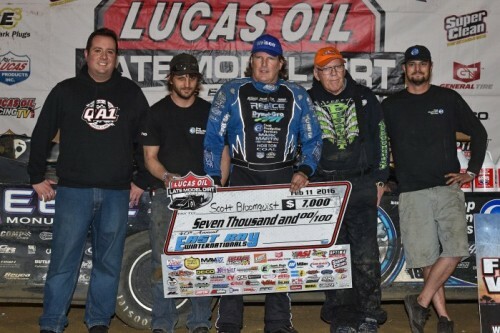 Scott Bloomquist, Gregg Satterlee, Tim Dohm, and Darrell Lanigan won their respective heat races. Steve Francis and Ricky Weiss won their respective B-Mains. Bobby Pierce earned the Miller Welders Fast Time Provisional and Nick Davis won the DirtOnDirt.com Strawberry Dash.